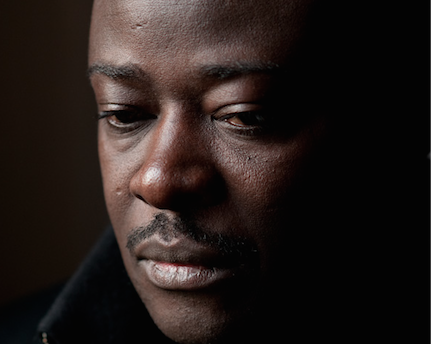 Helon Habila: Hunger, both metaphorical and literal, is always good for the artist. It sharpens your focus and drives you on. There’s a beautiful essay by Ben Okri on this subject, published in the British Council’s New Writing anthology a long time ago. It is based on his own experiences as a struggling writer in London. He describes how hunger would literally wake you up at night and drive you to the writing desk. But of course the best work on this subject for me is Orwell’s Down and Out in Paris and London. Yet, when the hunger becomes too much, it becomes a burden, not a helper. You might, for instance, find yourself writing about food for no discernible reason. I wrote my first book mostly hungry, with no computer, and by candle light because our electricity wasn’t working. This was in Lagos. I had to go to work at 7 am, and get home at around 7 pm, rest for a few hours and start writing by candle light till around 3 am. Then rest and go to work at 7 am. It was tough, but it shaped me in so many ways. I am glad that book worked out, it went on to win the Caine Prize and got me my first book deal with Penguin and Norton. It would have been devastating if it didn’t. NI: One of the objectives of this prize is to provide writers with the time to write. What are you working on at the moment, and what do you hope to be able to do with this gift of time? HH: At the moment, I am trying to finish a book I started last year when I was in Berlin. The book is mostly set in Berlin and it is about African immigrants in Europe. I ran into quite a few of them when I was there, I interviewed them and I found their story so fascinating I decided to drop the book I was working on, which wasn’t going anywhere, and started work on this one. I am almost done. After that I hope to return to the book I dropped and finish it. NI: Last year, the journalist Felicia R. Lee observed in The New York Times that “black literary writers with African roots…are making a splash in the book world, especially in the United States”; African writers are becoming known as bestselling authors, and they’re winning prestigious prizes. Indeed, all three winners of the Windham Campbell Prize in the fiction category this year have African roots: in addition to you there’s Teju Cole, who is Nigerian-American, and Ivan Vladislavic, who is South African. How do you think African writers like yourself are changing the literary landscape in the United States? Why do you think there is a growing appetite for writing by writers with connections to the African continent? HH: You know, I take all the hype about African writers changing the landscape with a pinch of salt. Most of it is market driven. Writing, don’t forget, is a business, just like McDonalds and Walmart. Not a very pretty analogy, but it is the bitter truth. Before the African writers there were the Indian writers, before that there were the Latin American writers, and so and so on. In a way it also diminishes our achievement, it is like Mungo Park going to Africa to discover the River Niger, the textbooks make it sound as if he actually created the River Niger. African writers have been writing for a long time before now; they have won the Nobel prize multiple times. Am I grateful for all the attention we are now getting? Of course I am, it is a tough business and one is lucky for the publicity. I don’t know why it is happening now, and I hope it makes Africa more understandable to American readers. But let us not kid ourselves, after all the hype is gone, our books will stand or fall by what we write, by how good we are as writers, period, just like any other writer before us or after us. NI: At present you teach in the creative writing program at George Mason University, and you’re based in the United States. How has living in the US changed you as a writer? Do you see yourself as a Nigerian author, and if so, how does living abroad influence that identity? HH: Well, when I first left Nigeria many years ago, I was pretty confident in my identity as an African writer, as a Nigerian writer. But that identity becomes more tenuous the longer one lives outside ones country. I still see myself as a Nigerian writer, if I have to define myself by my nationality, but I am more and more beginning to separate my nationality from my art. Why are carpenters not classified as Nigerian or American, or bankers or librarians? I guess as a writer one’s work tends to have resonance beyond oneself and becomes almost like a statement about ones nation or ideology or race. Toni Morrison won the Nobel but she is viewed as the African-American writer. This always seems to happen to writers of color, or non-Western writers. There is a tendency, almost a passion, to pin you down to some category. I wish it were not so, and I don’t want that to predetermine my writing. I don’t want readers to approach my book because they want to fulfill their quota of Nigerian authors. I want to be read as a writer, just like one would read Hemingway or Dickens. That is in a perfect world. The world is not perfect. But living outside Nigeria has given me the confidence to think about and attempt subject matters that I wouldn’t have bothered with if I were still in Nigeria. NI: You’ve been teaching a writing workshop in Lagos in the summertime for several years. Can you tell us how this workshop got started? How is this workshop different from the kinds of workshops you teach at George Mason? What does it mean to you as a writing teacher? HH: Well, we actually had to stop the workshop for a while now because the financing ran out. It was sponsored by a bank in Nigeria. We did it for three or four years, and it was fun. Basically we sent out a call for submissions from which we selected about 20 students, and I got to invite two authors from anywhere in the world to teach with me in Lagos. We have published two anthologies from the workshop and I can tell you it made a lot of difference to the students. It differs from my workshops at Mason in the obvious way that Mason is a university and has all the institutional and personnel support that we can’t have in a small ad-hoc workshop in Lagos. Plus, Nigerian universities don’t offer MFAs or writing workshops, so teaching of creative writing is something of a novelty there. It means a lot to be able to work with the students and to encourage them and to talk to them about writing. Ours wasn’t the only workshop doing that, other writers like Adichie are also offering workshops once a year. NI: You’ve told your writing students that writers should always be thinking of the magnum opus they hope to produce, a tome with the breadth of vision of a novel like Ulysses, for example. Can you give us any hints about your own magnum opus, the book you’re looking forward to writing some day soon? HH: I tell them that because I feel writing is an aspirational business, you are always going to write your best work. You don’t know when, you don’t know how, but you have to believe it is going to come. A work that will influence other writers long after you are gone, and change the landscape of writing for ever, like Things Fall Apart did to African fiction, or like Proust’s In Search of Lost Time did to French writing and to fiction writing in general.That’s why I admire writers like David Foster Wallace and the Danish author of My Struggle (Min Kamp), Karl Ove Knausgard; they don’t just write, but they want each book they write to be different, new, big, and groundbreaking. Does it always happen for every writer? No, far from it. Often it can be a spectacular failure. But one must never stop trying. You don’t only have to want to do it, you have to believe that you can do it, that it is your duty to do it. If you don’t believe you can be the best, then what is the point? Yes, there is one I am hoping to write, actually that’s the one I was working on in Berlin before I stopped. I have been working on it for over five years now. Often I tell myself it will never work, but then I always return to it. It might never happen, but in the meantime I’ll keep stopping and starting and hoping. Helon Habila is an Associate Professor of Creative Writing at George Mason University. He worked in Lagos as a journalist before moving to England in 2002. His novels include Waiting for an Angel (Norton, 2002), Measuring Time (Norton, 2007), and Oil on Water (Norton, 2010). He also edited The Granta Book of African Short Story (Granta, 2011). A contributing editor for the Virginia Quarterly Review since 2004, he is a regular reviewer for The Guardian. Nicole Idar, Asymptote editor-at-large (Malaysia), has been published in World Literature Today, Rattapallax, and The New Ohio Review. In 2014 she was awarded a DC Commission on the Arts and Humanities Artist Fellowship. She holds an MFA from George Mason University and a bachelor’s degree in English from Harvard University, and is the first Malaysian writer to graduate from the Clarion West Writers Workshop.